In the days after the Officer/inmate confrontation, prison management tried to determine what had really happened. What was said? How had it begun? During the investigation, an alert staff member noticed that there were inmate-use telephones on the opposite side of the large area where the altercation had occurred. A check of the telephone logs revealed that two inmates had used those telephones during the incident. Select prison staff members listened to the recordings of the calls placed from those telephones. Naturally, they heard the conversations between the inmates and the individuals to whom they were talking. Unfortunately, due to the distance between the cell where the incident occurred and the telephones, the Corrections Officer's and prisoner's voices were so low in volume that they were almost not audible. Sound Testimony® was called to analyze the recordings and increase the intelligibility enough to find out if what the staff thought they might be hearing was really what was said and, ultimately, help determine which party's account of events was true. After I accepted the case, my research revealed that attempts to hear conversations conducted in the background of inmates' telephone calls had been attempted before at other facilities, usually with unsuccessful results. I was determined to do everything possible to not have this case end in the same manner. Normally, in cases involving increasing intelligibility, background sounds, including other conversations, may need to be diminished to bring the foreground voice, or voices, into greater clarity. In this instance, the background "noise" was the actual target conversation between the Corrections Officer and the inmate. The volume level of their voices needed to be raised, and the prominent voices in the foreground--the actual telephone conversations--had to be diminished. The hard reflective surfaces of the large room where the telephones were located were an added concern. These surfaces created many echoes that smeared the background sounds, including the target voices, with great waves of reverberation. After transferring the files into my lab's Audio Forensics Workstation, I established the frequencies of the targets' voices to help me develop a plan to increase their volume and intelligibility while lowering the volume of the other sounds, including the telephone conversations. After the target's voices and the telephone callers' voices were closer in volume, I used manually adjusted downward expansion to reduce reflected sound from the hard surfaced walls and floor. I created a transcript of the Corrections Officer's and the inmate's interaction and sent it to prison officials. Some time later, I was asked to testify at a hearing. When the enhanced recordings were played, the truth was revealed. The recordings did not support the Corrections Officer's story. Several weeks later, I received a call from a member of the Warden's staff who said that the enhanced audio evidence was an important factor in determining what really happened between the Officer and the inmate. I learned that corrective actions had been taken and that, by retaining Sound Testimony®, the facility put the entire inmate population, as well as staff, on notice that prison officials were willing to take whatever measures were necessary to keep the facility running properly. 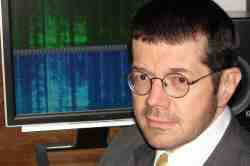 David A. Smith, ACFEI, IEEE, AES, has more than two decades of professional experience with audio enhancement. Experienced in criminal and civil cases including murder, corporate fraud, employment discrimination, sexual harassment, labor, and family law. Mr. Smith can consult with counsel offering audio forensic evidence examination, analysis, litigation support, expert advice, expert testimony, and related expert witness services including preparation of cross-examinations and courtroom presentations. Clients include Prosecutors, Defense Attorneys, Family Law & General Practice Attorneys, other Legal and Investigative Professionals, HR Depts., Corporations, Private Detectives, & Individuals.